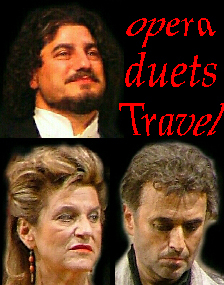 Giacomo Prestia as Felipe II, Rolando Villazon as Don Carlos, Kristin Lewis as Elisabeth de Valois were all great in their roles and singing. 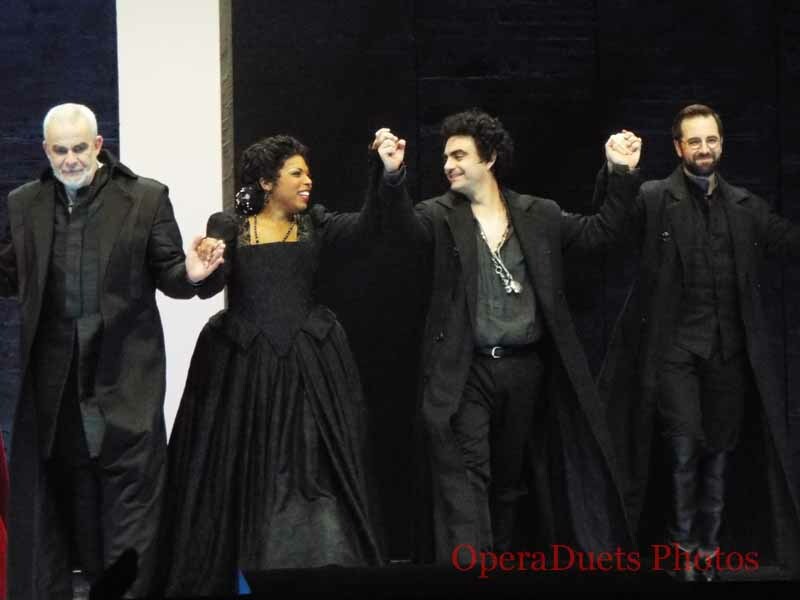 Etienne Depuis as Rodrigo, Marquis of Posa was a marvel to hear and see. Gideon Poppe as the Count of Lerma was equally an enjoyment to hear and see. The high and mighty Albert Pesendorfer was the high and mighty Grand'Inquisitor. Anna Smirnova was impressing as Principessa Eboli. As lovely Tebaldo we had the lovely Alexandra Hutton. Siobhan Stagg sang divinely as the Celestial Voice. Andrew Harris was hard pressed to impress as the monk (Carlo Quinto) but he hold his way. Donald Runnicles was running the show as the conductor making it a Don Carlo to rememmber fondly. Marco Arturo Marelli made the opera work as the director, scenographer and light designer with Dagmar Niefind creating the costumes. William Spaulding as chorus master. Orchestra and Chorus of Deutche Oper Berlin. A total win on all fronts: musically, theatrically and the choice of Edition was perfect. It was the Italian 4 act version with one interval after 105 minutes of music. No Fontainebleau scene here and no addition of the extra French fuzzies translated into Italian. This was the work as I believe it should always be played. Kristin Lewis was amazing. AND Rolando Villazon is back!!!! Etienne Depuis was the best of the best. Remember his name: ETIENNE DEPUIS.